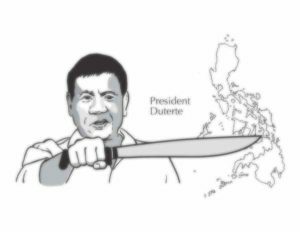 Under Duterte’s authoritarian rule, the Philippine left is faced with new difficulties. In the foreword to Subversive Lives: A Family Memoir of the Marcos Years, the authors write it “was not intended to be about communists and communism”—still the book provides remarkable insights into the Philippine communist movement. The book is a collective memoir of the surviving Quimpo family, relating their lives during the years of the Marcos dictatorship from the early seventies to the mid-eighties. With many of the siblings involved in the revolutionary movement, their memories furnish stories of underground organizing, imprisonment and torture, repression and resistance. In a recent op-ed in the New York Times, Nelson Denis describes the horrendous economic situation in Puerto Rico and compellingly shows the source of the problem to be the continuing colonial exploitation of the island by the U.S. government acting on behalf of key U.S.